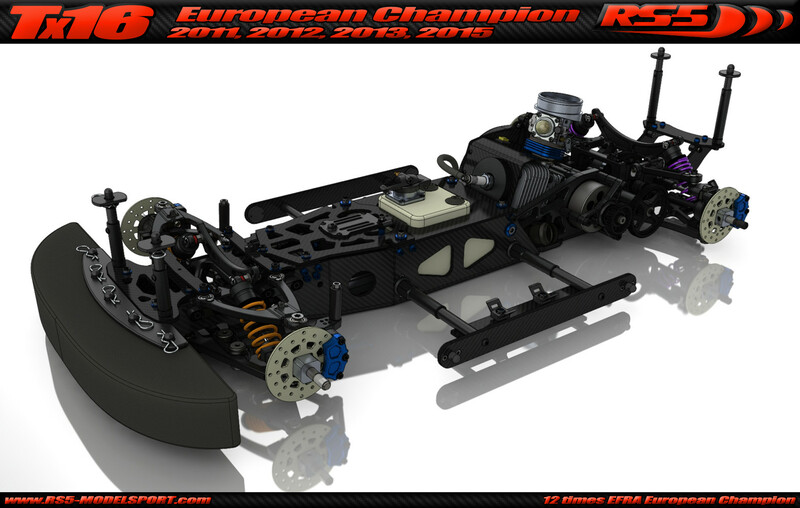 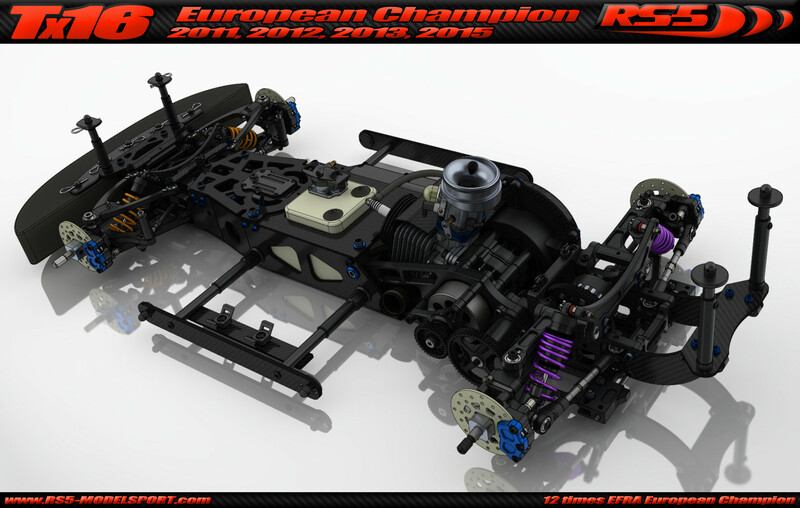 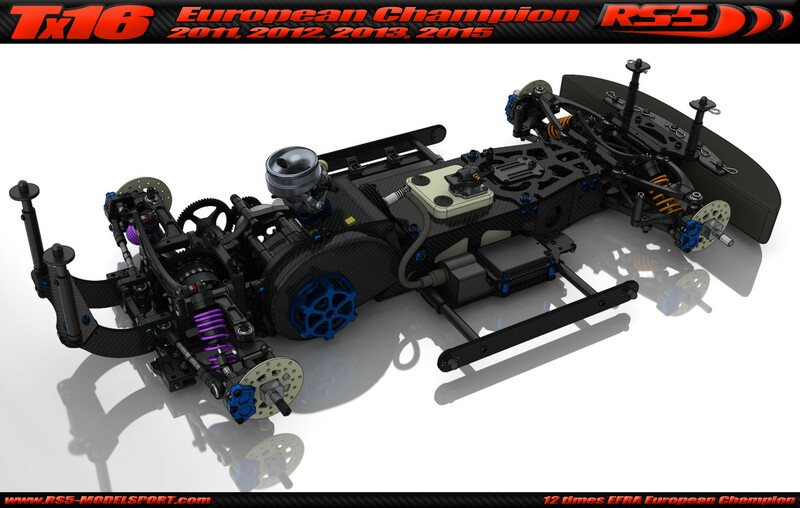 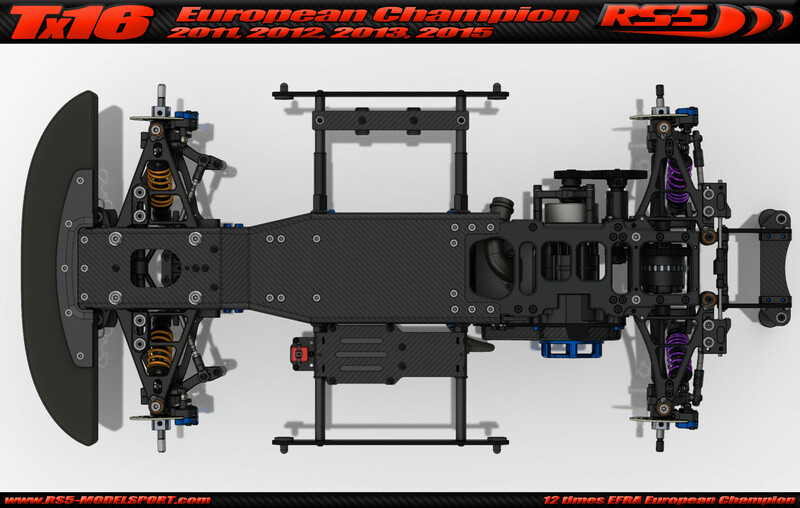 Here you can see the 2016 version of the “Tx series chassis” car - named RS5 Tx16. 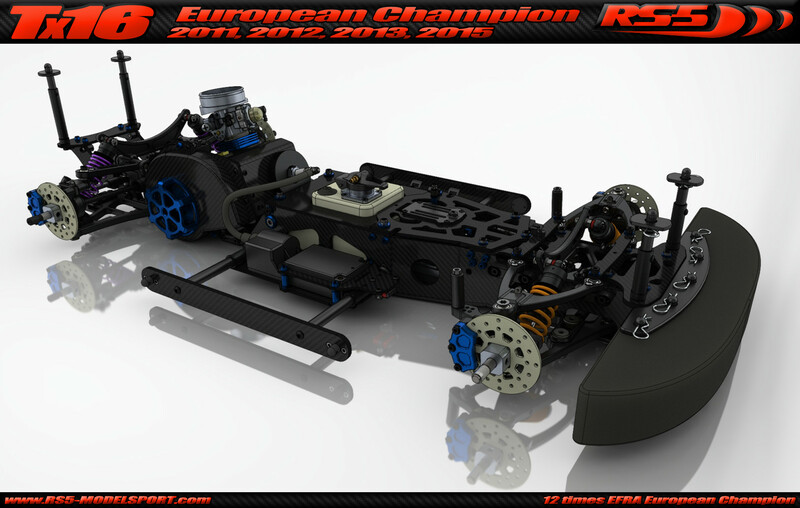 The RS5 Tx16 car is based on our all-new Beast engine. 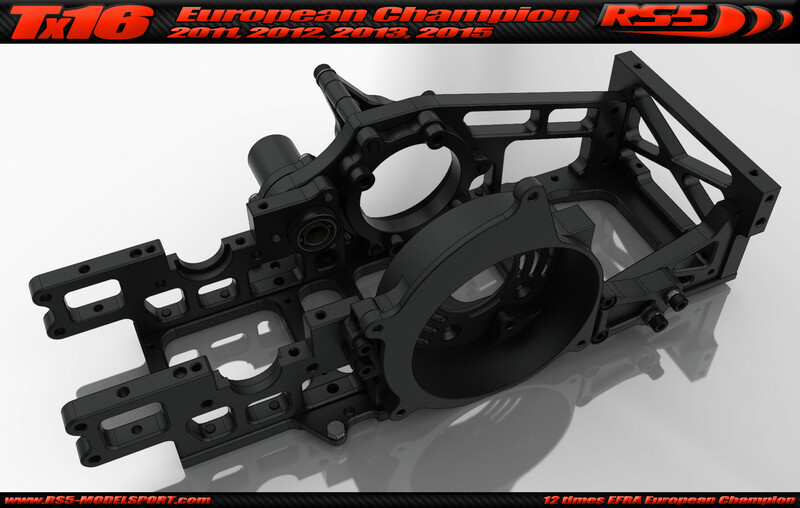 The main differences between the “T series chassis” and the “Tx series chassis” are the main alloy chassis, the left and right side engine brackets, all in all three parts. 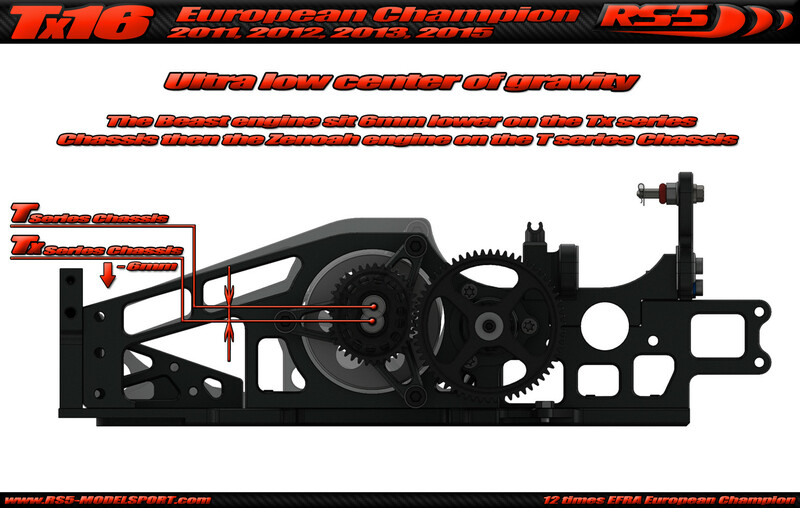 Any RS5 Touring car from T12 (T12, T13, T14, T15, T16) can be converted to a Beast engine ready Tx series car.